Recently Government announced some changes to Post Office Savings Schemes interest rate calculation method and these changes will be effective from 1st April, 2016. Let us understand what are these changes. The biggest change I can say is that the interest rates will change on a quarterly basis instead of yearly. Earlier interest rates on all Post Office Savings Schemes used to be changed every year and used to be applicable from next financial year. However, from now onward the interest rate will be fixed on a quarterly base. So you may feel the fluctuation in your return in each quarter. Notification and effects of such change in interest on a quarterly base will be as below. Therefore, the feel of security or constant interest income may vary from 1st April. But what is this FIMMDA month end G-Sec. rate? FIMMDA (Fixed Income Money Market and Derivatives Association of India) is a voluntary market body for the bond, money and derivatives markets. They publish the Government Security rate. Based on these rates, the next quarter’s interest rate on various Post Office Savings Schemes be considered. However, I am not sure of whether the average of last three months FIMMDA month end G-Sec. rate be applicable for next quarter or the only last month of a previous quarter only. Let us see how they calculate and arrive at the interest rate. What is this G-Sec. rate? It is nothing but a yield on Government security of the same maturity. The yield on bonds is inversely proportional to its price. Raise in interest rate will result in a fall in bond price. This will raise the yield. The reverse will happen when the interest rate starts to fall. Let us say you have a bond with a face value of Rs.1, 000 and the interest (coupon) on this bond will be 10%. Therefore, if you bought it at face value and returns from this bond is 10%, then yield on such bond will be 10% (100/1000). Now let us say RBI increased the rate of interest to 11%, then whether anyone try to buy such bonds, which offer less than the current market interest rate? Obviously, no, in that case price of such bond, which bears a face value of Rs.1,000 and coupon or yearly interest 10% will have to fall. Let us say it fell to Rs.900. Then yield will be 11.1% (100/900). Why yield raised? Because the person who buy the bond which bears the face value of Rs.1,000, but currently priced at Rs.900 and the interest rate (coupon) on such bond is fixed i.e. 10%. Therefore, by investing Rs.900 one can get 10% return. Earlier you have to buy this bond at Rs.1,000 (face value) and return is 10%. Now, due to increase in interest rate and fall in bond price, the yield on such investment will increase. Hence, the fall in price resulted in higher yield. Sukanya Samriddhi Yojana, Senior Citizen Savings Scheme (SCSS) and the Monthly Income Scheme (MIS) enjoys a higher interest rate than other Post Office Savings Schemes. These three schemes are considered as savings schemes based on laudable social development or social security goals. Hence, the interest rates for these three schemes are over the G-Sec rate of comparable maturity viz., of 75 bps, 100 bps and 25 bps respectively. (100 basis point means 1%). This is also called as SPREAD. So let us say FIMMDA month end G-Sec. rate for last quarter is 9%, thenSukanya Samriddhi Yojana will offer you 9.75% (9%+0.75%), SCSS will offer you 10% (9%+1%) and MIS will offer you 9.25% (9%+0.25%). Remember that this will be only for a quarter. We don’t know the interest rate of these schemes for next quarter. So now onward the fluctuation in Post Office Savings Schemes rates will be on a quarterly basis. There is no change in the spread for above three schemes. However, the change is in the quarterly interest rate declaration. These schemes interest will also be declared on a quarterly base with a spread of 25 bps over and above G-Sec rate of comparable maturity. Let us say the G-Sec. interest rate for the last quarter was 8%, then these three schemes, offer the interest rate of 8.25% (8%+0.25%) for next quarter ONLY. Earlier the interest rate on the above said Post Office Savings Schemes had spread of 25 bps over the comparable tenure Government securities. Now this is totally removed. So now these schemes, offer the same interest rate of banks for particular tenure. The Effective interest rate on National Savings Certificate (NSC) and Kisan Vikas Patra (KVP) reduced. Earlier the compounding of NSC and KVP was half yearly. Now the compounding will be YEARLY. What will be the effect? Let us say the NSC offering you the interest rate of 8.5% and what will happen if we change the half-yearly compounding to yearly compounding? Half-yearly compounding will result in an effective return of 8.68%. 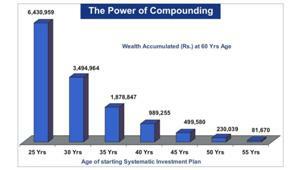 If it reduced to annual compounding then the effective return will be same as that of what interest rate i.e. 8.5%. Therefore, from now onward NSC and KVP will fetch you less than earlier. I tried to highlight all these changes in below images with red colour. 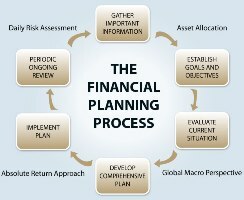 From now onward, one can close the PPF before the maturity. But this will be permitted in genuine cases like a serious ailment, higher education of children etc,. In addition, if you try to close the PPF before maturity, then there will be a 1% reduction overall amount as penalty. This closure is allowed only to those accounts, which completed minimum 5 years of a term. 1% reduction of interest from a whole amount as penalty for earlier closure is unwarranted. Because it is already set that such closure will be allowed in genuine cases. Then why such penalty clause? Let us wait for the next interest rate declaration on 15th March, 2016.